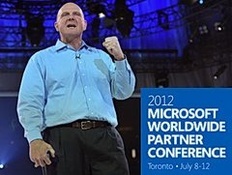 Did you miss Microsoft Worldwide Partner Conference 2012? Did you miss Microsoft Worldwide Partner Conference 2012? Not sure how Microsoft (NASDAQ: MSFT) is positioning Windows 8, Windows Server 2012 and Office 365 cloud services for channel partners? Don’t worry. The VAR Guy’s got you covered. Check out the Microsoft Worldwide Partner Conference 2012 (WPC12) InfoCenter — containing the latest conference news and analysis — and even a few surprises involving Windows Phone 8 and Microsoft cloud billing strategies for partners. Plus, thoughts from Microsoft CEO Steve Ballmer and Channel Chief Jon Roskill. Here are three more suggestions to apply if launching an MSP from scratch today.